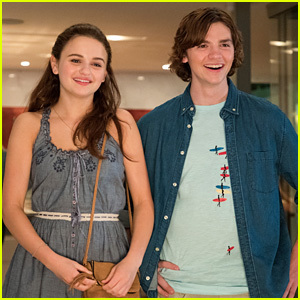 Joey King, Jacob Elordi & Joel Courtney Reunite For ‘Kissing Booth’ Dinner | Jacob Elordi, Joel Courtney, Joey King | Just Jared Jr.
Joey King is giving us major hope that a sequel for The Kissing Booth is actually happening. The 18-year-old actress, boyfriend Jacob Elordi and Joel Courtney all reunited with producer Michele Weisler and director Vince Marcello for a dinner out in Los Angeles last night (June 11) and it’s just giving us so much life right now! “Reunited with #TheKissingBooth gang,” Joey wrote in the caption, adding a winky face emoji that’s more of a hint than anything else. So, could there actually be a sequel coming? Nothing’s been announced yet, however, we could definitely go for one, and even the author, Beth Reekles, wants one. We’ll just be over here waiting for the announcement from Netflix. Joel Courtney Gets Covered In Slime On 'Double Dare'! Joey King Is Chic in Overalls While Being Honored at Teen Vogue's Young Hollywood Party! 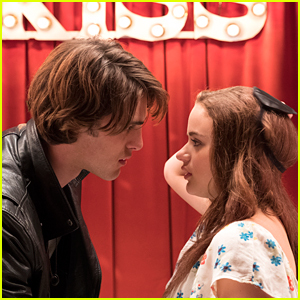 Joey King Announces 'The Kissing Booth' Sequel Is Coming! Joey King (as Voldemort!) 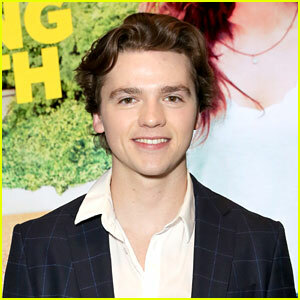 Reunites with Joel Courtney at Just Jared's Halloween Party! 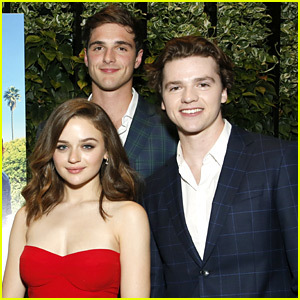 Joey King, Jacob Elordi, & Joel Courtney Just Had a 'Kissing Booth' Reunion!